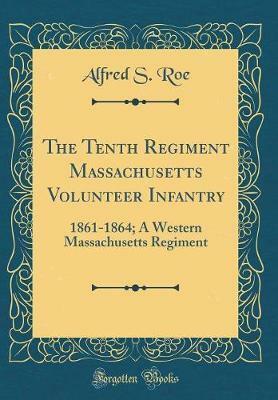 Excerpt from The Tenth Regiment Massachusetts Volunteer Infantry: 1861-1864; A Western Massachusetts Regiment The body of the work tells the story of the Regiment as a whole; the Roster recites the brief summary of more than twelve hundred men, every one as dear as life itself to some home, more or less distant. Just as far as care and persever ance could take the inquirer, so far have those concerned in the volume carried the investigations concerning those who, SO long ago, drank with them from the same canteen and with them bivouacked on the Old camp ground. TO those who in any way contributed to the fullness Of this Roster thanks from many directions are due and they are hereby rendered. About the Publisher Forgotten Books publishes hundreds of thousands of rare and classic books. Find more at www.forgottenbooks.com This book is a reproduction of an important historical work. Forgotten Books uses state-of-the-art technology to digitally reconstruct the work, preserving the original format whilst repairing imperfections present in the aged copy. In rare cases, an imperfection in the original, such as a blemish or missing page, may be replicated in our edition. We do, however, repair the vast majority of imperfections successfully; any imperfections that remain are intentionally left to preserve the state of such historical works.